New York, NY - May 24, 2017 Baruch College announced that Caitlin Larsen and Quamid Francis are this year’s Valedictorian and Salutatorian, respectively. The two students will join their fellow graduates on June 5 who will be attending the College’s 2017 Commencement Ceremony at the Barclays Center in Brooklyn, NY. This year’s Class of 2017 is comprised of more than 6,000 students. The Valedictorian and Salutatorian designations, steeped in long tradition, are accorded to graduating students in honor of their outstanding records. The Valedictorian delivers the valedictory, or farewell, address to students at Commencement. The Salutatorian delivered the salutatory or welcoming address at the College’s Student Achievement Awards, which were held on May 17, 2017. 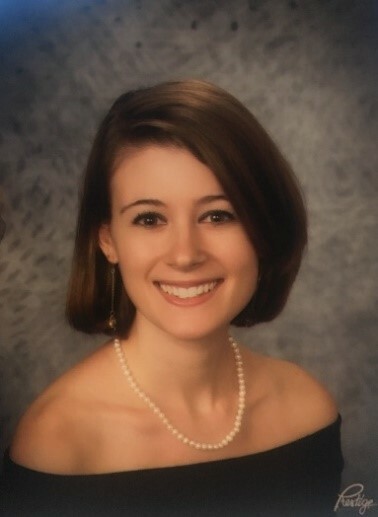 Valedictorian Caitlin Larsen, a student in the Macaulay Honors College, is receiving a Bachelor of Arts in psychology from the Weismann School of Arts and Sciences. Since attending Baruch College as a freshman, Larsen has been actively engaged in internships, leadership, and community service projects. Most notably, she has served as treasurer for the Intervarsity Christian Club, staff writer for the student newspaper, The Ticker, and lab assistant in the Baruch Social Cognitive Research Lab. Upon reflection of her Baruch experience, Larsen pointed to the college’s strong sense of community. “I have loved being a part of the vibrancy of this school,” she said. Larsen is the recipient of the 2017 Baruch College Psi Chi Psychology Award, bestowed on students who earn the highest GPA in the College’s Psychology program. She is also a member of the Psi Chi International Honor Society in Psychology and the Phi Eta Sigma National Honor Society. Larsen is planning a career as a clinical psychologist. Salutatorian Quamid Francis, a former Marine who was deployed in Japan, with bilateral training exercises in Thailand, Korea, and the Philippines, is receiving a Bachelor of Science in Public Affairs from the Marxe School of Public and International Affairs. He has always lived by the principle, “Bloom where you're planted.” That guiding belief led him to success not only in the military, but at Baruch College as well. 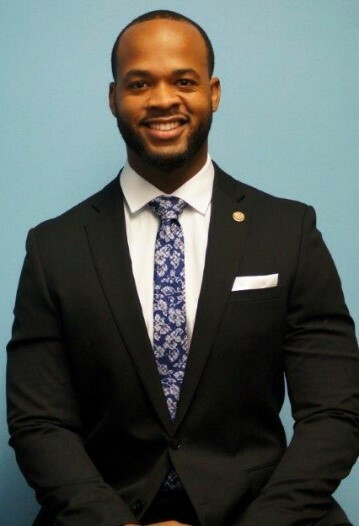 On campus, Francis served as the vice president of marketing for the Black Student Union, and recently moderated a debate between the student Democrats and Republicans.�He has interned at the New York City Council, and presently serves as legislative assistant to New York Senator Martin Golden. “My experience at Baruch has been remarkable, the diverse make-up has enabled me to have an enriching academic experience,” he said. He has been accepted into the Master of Public Administration program at New York University’s Wagner Graduate School of Public Service for fall 2017. He then intends to pursue a J.D. degree, which will further pave the way to a career in public service. Francis had been previously awarded the Presidential Bronze Award for Volunteer Service by President Barack Obama. Baruch College President Mitchel B. Wallerstein, PhD, will confer the degrees to the undergraduates and graduates at the commencement, which will begin at 9:30 am at Barclays Center at 620 Atlantic Avenue in Brooklyn. Nearly 18,000 people, comprised of graduating students and their families, are expected to fill the arena. Doors will open at 8:00 am and the ceremony will end around noon. Baruch College will award Honorary Degrees to Neil DeGrasse Tyson, PhD, who is the Frederick P. Rose director of the American Museum of Natural History’s Hayden Planetarium, and Allan E. Goodman, PhD, president and CEO of International Education, the leading not-for-profit organization in the field of international education and development training. Baruch College’s website and social media.�Details to come.